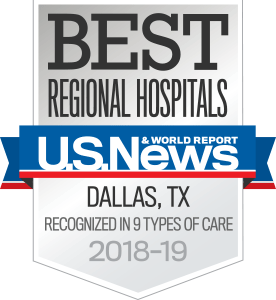 The digestive and liver disease specialists at UT Southwestern Medical Center aim to help patients feel “normal” again and reduce hospital admissions and complications. We offer a multi-dis­ciplinary approach to diseases and work closely with the Harold C. Simmons Comprehensive Cancer Center and surgery, oncology, and radiology teams. Patients who see a specialist early in the course of their disease have the best chance of successfully managing their disease and resuming an active lifestyle. All new patients must complete the Digestive and Liver New Patient Package. Please review the Initial Visit Checklist to ensure you bring what's needed to your first appointment, including your driver's license, current insurance card, completed questionnaire, and any additional paperwork you received in the mail. Medical records and a list of current medications are also important, so please bring those. If it’s necessary to cancel your appointment, please notify the Patient and Physician Referral Service at 214-645-8300 or the clinic at least 48 hours in advance so we can accommodate others waiting to schedule an appointment.